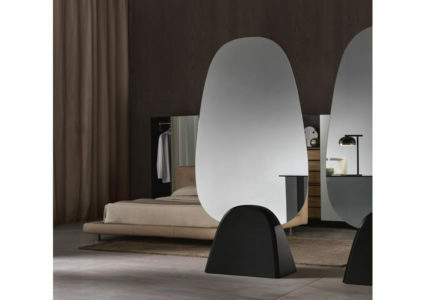 Freestanding mirror. 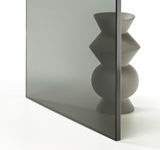 It is suitable as a livingroom or bedroom divider. The base, matt or glossy black lacquered, hides wheels for easy movements. 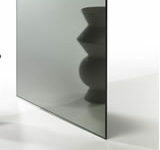 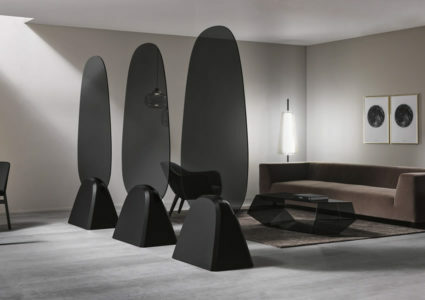 The panels can be smoked glass or smoked double-sided mirror.